Formal links between the Society and the British Journal of Preventive and Social Medicine, later to become The Journal of Epidemiology and Community Health, were established in 1959 and two representatives of the Society were added to the editorial board. The SSM Honorary Treasurer and Honorary Secretary represent the Society on the JECH editorial board because JECH publishes oral abstracts for the ASM. This is a titular role and, they have not been called upon for anything else concerned with the journal in recent years. Initially, just the titles of papers to be read at the annual scientific meetings were published in the journal and in 1962 fuller accounts of the Society’s proceedings and abstracts of papers, given at the scientific meetings, were included. Since then, the abstracts of oral presentations have been published annually. Abstracts for poster presentations were also included in 2010 and from 2012 onwards. In 2010/11, it was agreed that the supplement should be online only, and the Society receiving hard copies for conference delegates. All abstracts published in the supplement are still entered into relevant databases such as PubMed and Web of Knowledge. The Society is known for its high quality and friendly annual meetings, its interdisciplinary nature, and its value for money. 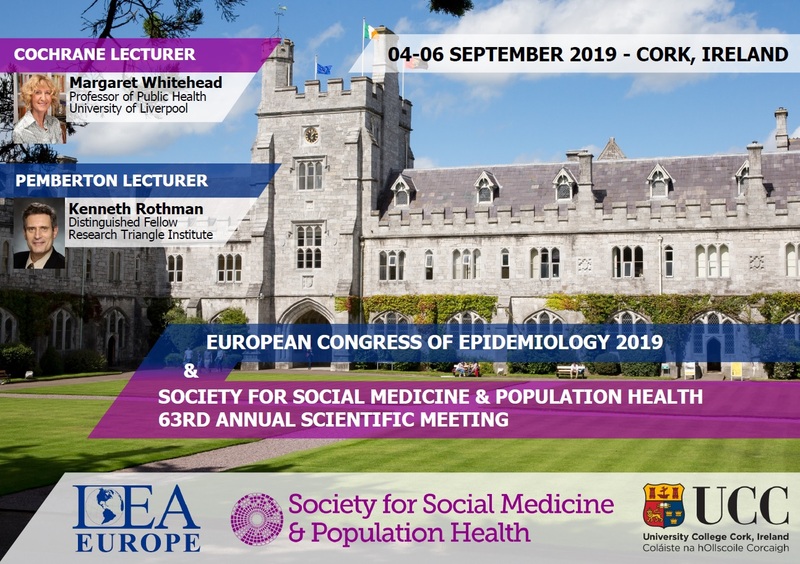 It is seen within academia and government circles, by other professional societies and national and international groups as the main learned society of epidemiology, public health, and health services research in Britain. In a sense its potential for growth is due, in part, to this successful outside recognition. The Society is asked by these other groups, for example, to provide scientific evidence. For example, to comment on policy issues, to nominate representatives to sit on Committees, and to provide further training for health professionals and certification of health researchers. Our response has historically been fairly limited, in acknowledgement of the time limitations of Officers. Periodically the Committee has initiated a debate among members about the role of SSM, to ensure the Society’s long term success. In 1998 and again in 2012, the Committee organised a survey of members to ask them about the future direction of the Society. Appendix A includes a summary of the discussion of the 1998 survey and appendix B includes the final reports of three task and finish groups that were set up to develop plans in response to the findings of the 2012 survey.